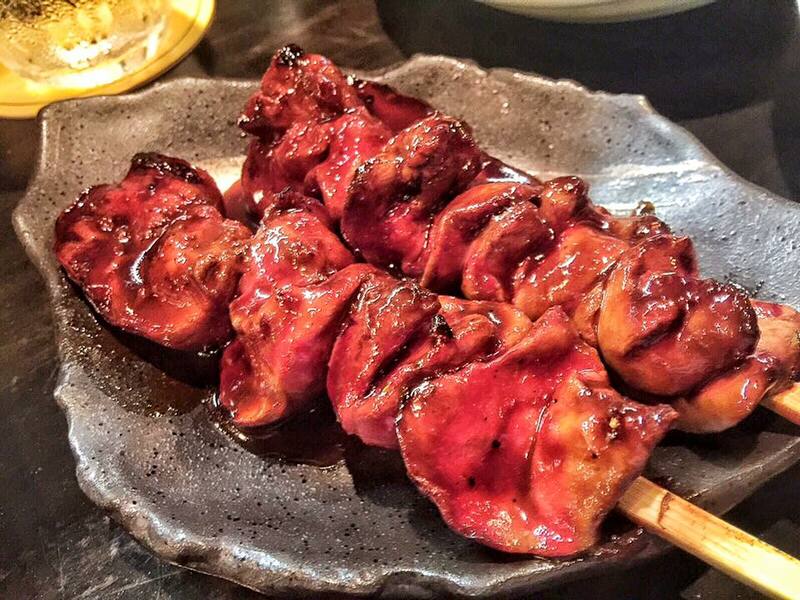 In the mood for some smoky char-grilled yakitori? 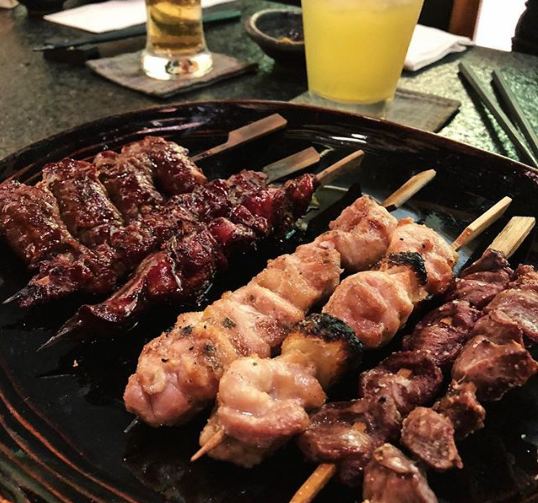 In case you're wondering, yakitori is basically Japanese-style satay comprising of meats, seafood and vegetables grilled over fire. 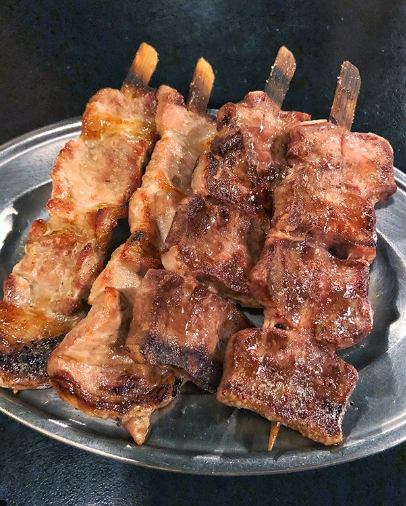 They usually come in a wide range of options, from salmon to chicken wings, to more obscure items like chicken skin and gizzard. 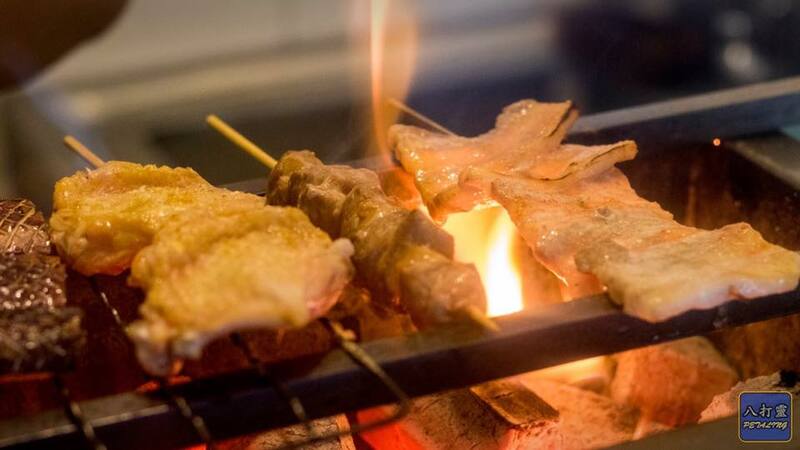 Round up the makan gang and head to Maruhi Sakaba to try their flavourful meat and seafood skewers. 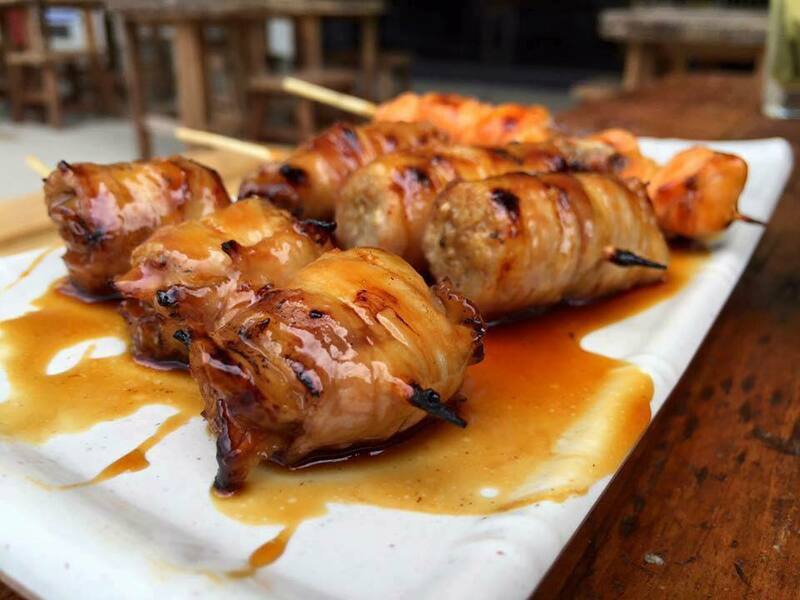 The dishes that you have to try would be the crowd-favourite Skewered Salmon and also the Skewered Scallops. Complete your meal here with assorted dips! 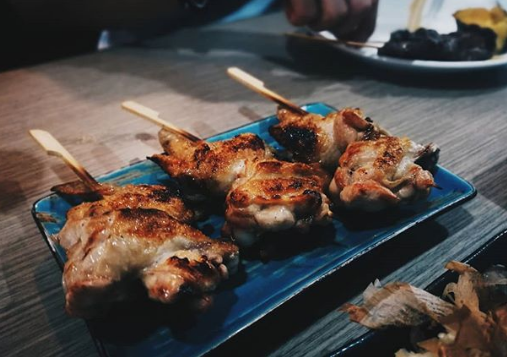 Besides being known for fresh sashimi and flavourful teppanyaki, Koyaku also offers a wide range of classic Japanese yakitori such as BBQ Chicken Wings, Chicken Gizzard, Skewered Glazed Unagi and more. 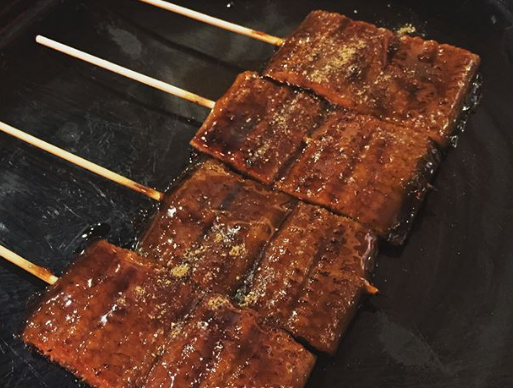 Koyaku Japanese Dining & Grill is pork-free. 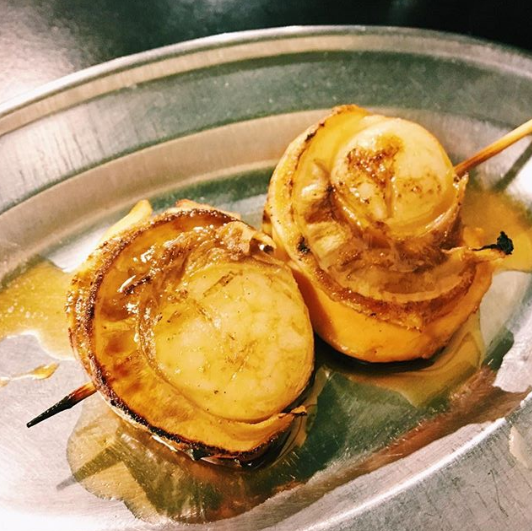 Known for their flavourful yakitori dishes, this place offers a little Spanish-inspired twist to this Japanese delicacy. 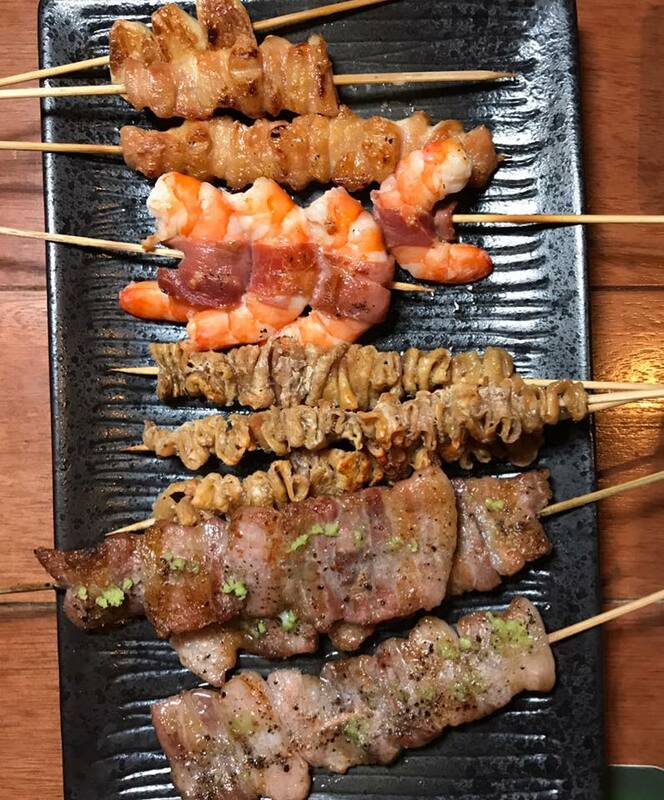 The selection of skewered meats and seafood here include Iberico Pork Belly With Wasabi, Chicken Soft Bone, Chicken Skin, Prawn Wrapped With Bacon, Smoked Grilled Cheese and more! 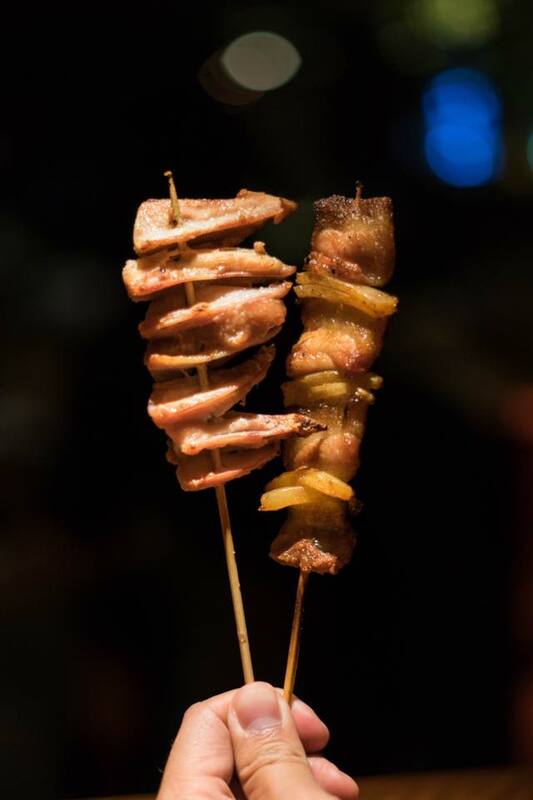 Palillos Spanish Yakitori Bar is non-halal. 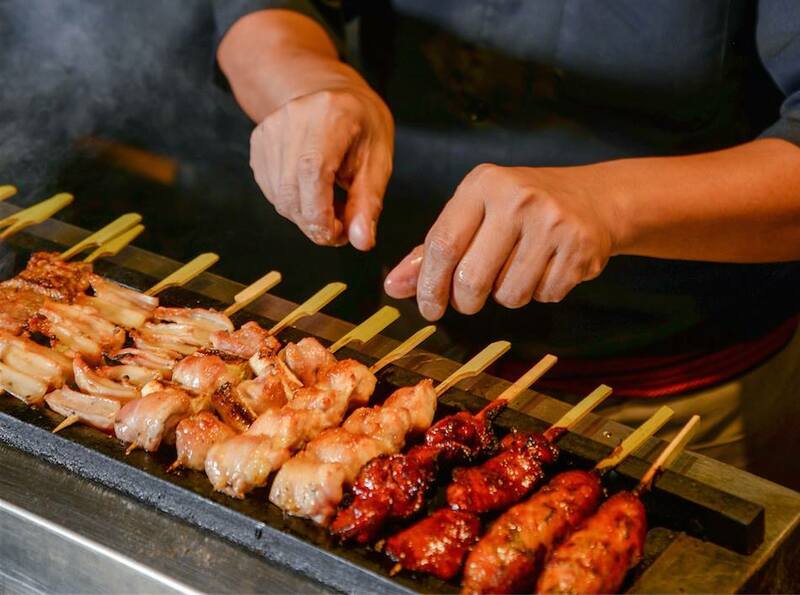 Indulge in the selection of juicy and succulent Japanese yakitori here. 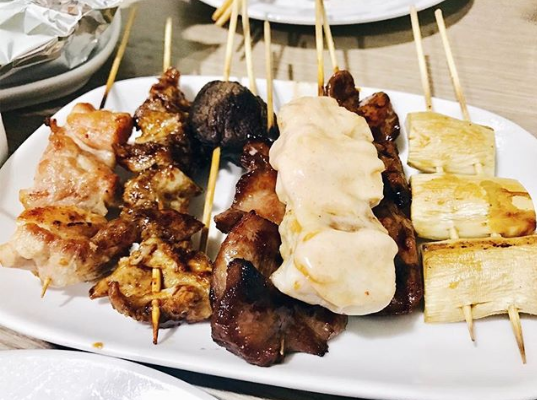 The awesome selection includes Chicken Thigh And Leek, BBQ Chicken Liver and more. 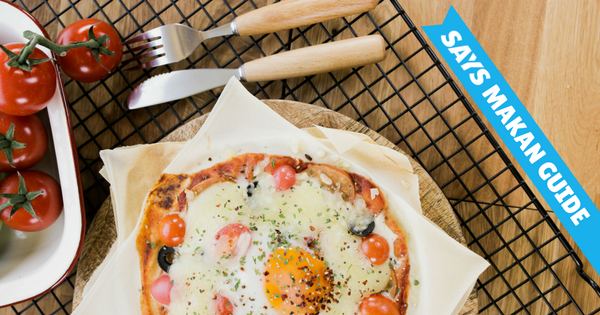 Imported Japanese beer available here makes for the perfect addition to your meal. 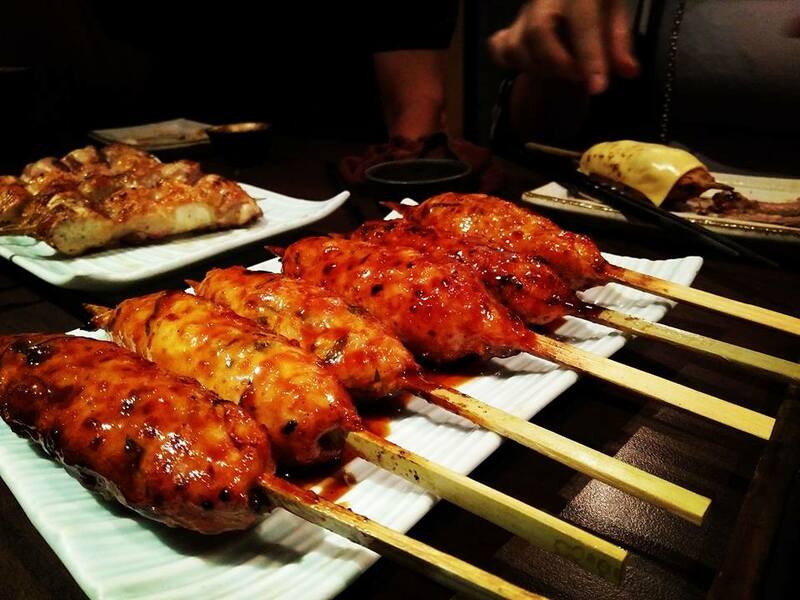 Sumi-Ka is a great place to enjoy some awesome Japanese dishes, especially their awesome selection of yakitori. 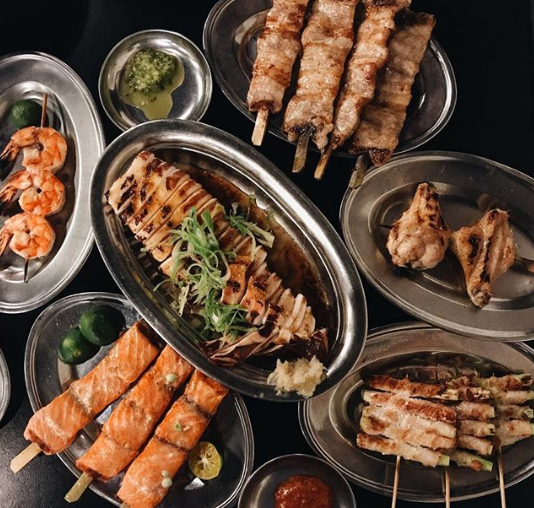 Their grilled highlights include Pork Trotter Skewers, Japanese Prawns, Enoki Mushrooms Wrapped With Pork, and Garlic Wrapped Chicken. 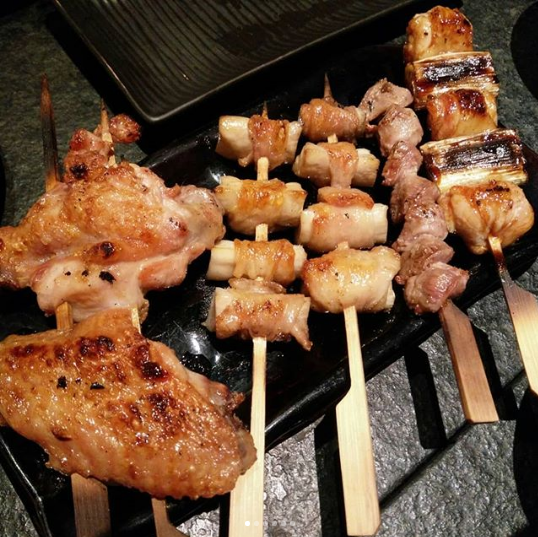 You can pair your skewers with some toasted onigiri rice. 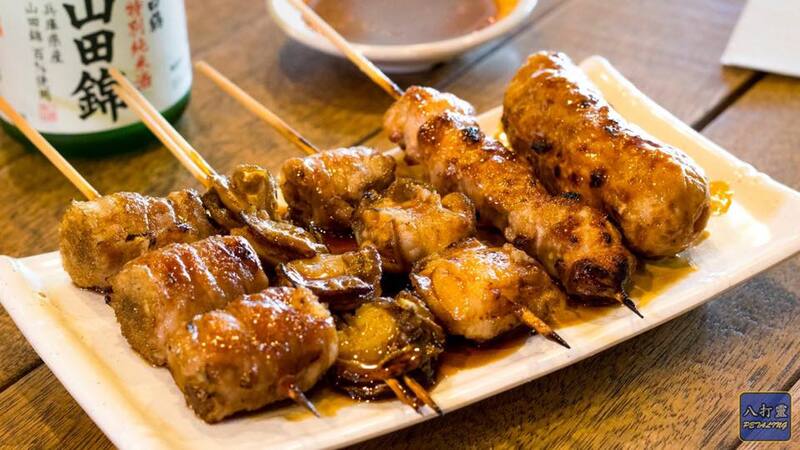 MOKU is another popular pit-stop for some simple yet satisfying yakitori. 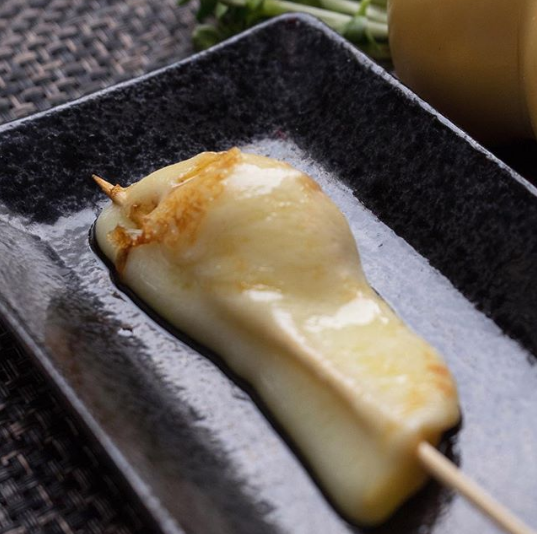 Offering smoky skewered meats, seafood and vegetables, the crowd-favourite picks here include Pork Belly Slices With Scallop, Smoked Duck, Cheese Tsukune and Yaki Tofu. 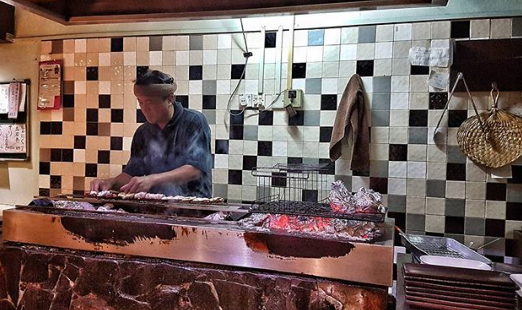 MOKU Grill & BBQ is non-halal.